Dr. Cheryl Johnson will be the next Executive Director of the Office of Diversity, Equity and Inclusion. I am very pleased to announce that Dr. Cheryl Johnson has agreed to serve as the Executive Director of the Office of Diversity, Equity and Inclusion (ODEI) at HSU. In this role, Dr. Johnson will also serve as the HSU Title IX Coordinator. Dr. Johnson’s appointment begins July 1, 2017. Dr. Johnson currently oversees ‘2020 Vision and Beyond’ for the City of Berkeley – this is citywide equity movement to increase opportunity and access, thereby eliminate racial predictability, and increase equity for all students. ‘2020 Vision and Beyond’ is a “Cradle-to-Career” program that deploys interventions at key points along the K-12 developmental pathway, as well higher education attainment. The underlying assumption in the pathway is that the needs of the whole child, including early childhood education, health, and family engagement are all important for student success and attainment. Dr. Johnson has just completed yearlong leadership training in the Government Alliance of Racial Equity (GARE) national effort to increase equity in government and city systems. She has been a leader in overseeing the development of a Racial Gap Analysis for the City of Berkeley, and directing the design of an Equity Action Plan for the City of Berkeley. While attending The Wright Institute, where she earned her doctorate of psychology degree, she was one of the founding members of the Wright Institute Students of Color (WISOC). WISOC was created to support students of color as they navigated the field of clinical psychology, a discipline not heavily populated by people of color. She later served as an alumnus on the admissions committee for three years, in order to recruit more people of color in the field of psychology. Dr. Johnson is the co-founder and former president of CJM Associates, an organizational development and management-consulting firm. CJM Associates was founded with the mission to promote the welfare of vulnerable and diverse populations by contributing to the effective functioning of public, private and non-profit service systems, and the leadership and staff that serve those populations. 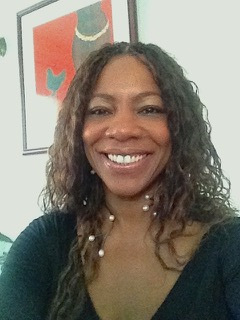 Over her career, Dr. Johnson has worked with diverse populations such as the chronically mentally ill, incarcerated women re-entering into mainstream society and re-unifying with their children, homeless women and their children, school aged youth, and children and families involved with courts and social service systems. The principles of equity, diversity, and inclusion apply to all of work that Dr. Johnson has done and will continue to do in the future. In addition, Dr. Johnson has previously worked with private corporations, non-profit organizations, large public agencies, educational institutions and the U.S. military, and brings over 15 years of experience in organizational development, policy and program analysis and design, change management, training and development. Dr. Johnson received her Psy.D. from the Wright Institute in Berkeley, CA and her M.S. in Human Resource Development from Troy State University in Dothan, AL. Cheryl is drawn to HSU’s long-time, consistent environmental and social justice missions and the opportunity to live in California’s beautiful and friendly North Coast. Cheryl’s broad experience implementing system-wide change initiatives including program design, implementation, and management in the areas of increasing equity and diversity, reducing community violence, public health and wellness, civic engagement, mental health will compliment HSU’s vision and goals. Cheryl believes that historical trauma, racism, and creating equity are intricately interwoven, and unpacking the relationship and manifestations of these elements is paramount in communities healing and transformation. Cheryl loves farmers’ markets, interior design, and art galleries. She looks forward to exploring the local farm to table restaurants, and exploring Victorian architecture. Please join me in welcoming Cheryl to ODEI, HSU, and the Humboldt community.